First, this is a clear synergy attempt by SOE’s (BUMN) for holding ground against the hyper-growth Gojek-owned Gopay and Lippo-backed Ovo. 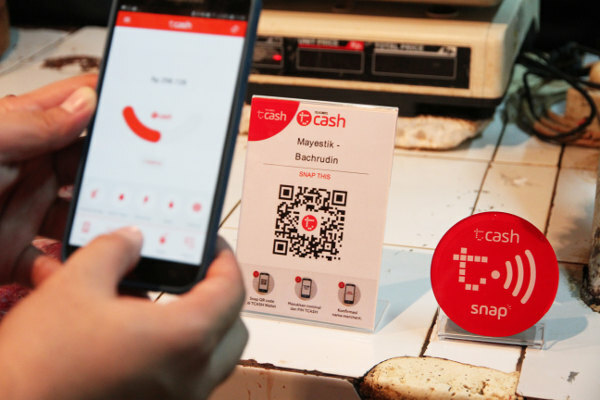 To tap bigger market, Telkomsel has been planning to spin-off and making T-Cash agnostic regardless of mobile operator. However, Gopay and Ovo have been engaged in cashback wars since late last year which successfully earning them top-of-minds leaving T-Cash behind. Facing high waters, Telkomsel apparently need all the help they can get. Second, apart from BTN, each of four state banks that support LinkAja already have their own e-money system. Mandiri have E-moneyand E-toll, BRI have Brizzi and Tbank, BNI with TapCash and Yap!. Most of them are card-based e-money which probably can complement the server-based T-Cash. However, integrating between each legacy system can be a challenge. Last, Pertamina stuck out like a sore thumb in the list of LinkAja backers. This might be Pertamina first foray into Indonesia digital ecosystem. Im not sure what Pertamina brings to the table or what they stand to get in this coalition. LinkAja might be utilized as their loyalty platform similar to Shell’s Clubsmart. Their gas stations can also be used as cash-in-cash-out (CICO) points for LinkAja. However, Pertamina only have 5000-ish gas station with half of it in Java. Compare it to your friendly neighborhood Alfamaret and Indomaret, T-Cash existing CICO merchant, which combined have 30 thousands points nationwide. So what are the key driving factors for this Alliance ? Most probably is the big and lucrative potential in the growing e-money landscape. According to Bank Indonesia data, electronic money is growing industry with recorded 3 million transaction reaching 47 trillion rupiah in 2018. As you can see in the chart below, the growth hockey-sticked last year with transaction grew 3 times and the amount grew four times. This might be the result of heavy promotion, payday and discount campaign by major players last year. Number of instruments issued (accounts and cards) also almost doubled last year. Average amount per-transaction is still small, less than 20 thousands IDR. But it is steadily increasing for the past 4 years. This could signal growing trust of Indonesians in using non-cash payment method. So where is T-Cash position in this ocean ? Based on public information, T-Cash seems to lead in number of accounts with 25 mio for now. Having 150 million Telkomsel subscriber as their captive market really help T-Cash to have ample user-base. Gopay claimed to have 50% Gopay users out of their 20 to 30 million users while OVO numbers ranging from 6 to 10 mio. However, based on recent public surveys on fintech by DailySocial, T-Cash is lagging behind Gopay and Ovo in terms of popularity. This could be a stern warning sign for T-Cash as both Gopay and Ovo are very aggresive and willing to burn tons of money in order to gain foothold. What Gopay and Ovo have which T-Cash are lacking is growth engine. Gopay is an internal currency for all Gojek services on both side of the platform : end-users and mitra (partners). For end users, theres an immediate benefits in price (discount) and convenience (no need for spare change) if you use Gopay to pay Gojek services. On the other side, mitra are forced to use Gopay if they want to onboard in Gojek ecosystem, either as drivers or as merchant. By design, the growth of Gojek users and partners will also boost Gopay adoption. On top of that, theres also network effects at play. The more services and partners Gojek have, Gopay will become more valuable as end users will have more reason-to-use. Ovo also have this with their partnership with Grab. Albeit lesser due to low variety of services in their ecosystem. Also, OVO leverage Lippo group assets ruthlessly such as forcing you to pay using OVO in their widespread malls in Jakarta. Another growth engine that Ovo have is TokoCash which can potentially tapping into 150 million monthly visitor of Tokopedia. They are tightly integrated, cashback or refund from every Tokopedia purchase will automatically goes to OVO. As Tokopedia grow, OVO user and usage will grow as well. TCash, as far as i know, doesnt have these kind of growth engines. Even as Telkomsel user, using T-Cash doesnt give you immediate benefits or better experience. Based on current information on LinkAja so far, there are no signs either to address this. This will become their Achilles heel in the upcoming wars of e-money. Combining multiple SOE’s asset, there are opportunities that LinkAja have advantage over other e-money players : public sector. If they can tap this, the cake is almost untouchable by other e-money operators. One of it is conditional cash-transfer program called Program Keluarga Harapan (PKH) . On average, every target household will retrieve 2 million rupiah annually and in the span of 7 years recipient have been growing tenfold up to 10 million household. PKH currently are delivered through SOE banks but in my opinion, e-wallet is better medium to deliver social program due to better inclusivity of mobile number (more than 100% penetration compared to 30% bank account). This is where LinkAja might come to play. Besides, T-Cash is also accessible via USSD hence recipient dont need smartphone to have account (unlike Gopay and Ovo). LinkAja also offer better capabilities to deliver current card-based social program such Kartu Indonesia Sehat or Kartu Indonesia Pintar. Since all these card can be used as payment method, LinkAja can leverage their current features to improve the experience such as QR payment and ability show historical transactions. Server-based e-wallet is also better in terms of transaction monitoring and control compared to card-based. For example, government / related-ministry can centrally track, limit and also freeze balance on an individual level in real time. An important capabilities in a social program where it is prone to be misused. The LinkAja alliance is not without drawbacks. According to KataData, each SOEs will have equal share in LinkAja. This can be problematic because every strategic decision that LinkAja make will have to go through seven state institution each with their own layer of leadership. On top of that, LinkAja might also have to report to SOE Ministry. This can be their crutch while they facing swift and agile unicorns such as Gojek. By joining forces with other SOEs, T-Cash or LinkAja might amass bigger warchest and plethora of important assets in their ongoing war with Gopay and Ovo. However, i believe this Avengers-like initiative not directly solve their lack of growth-engine problem. Having multiple heads with equal stake also come with burdensome bureaucracy which hinder LinkAja to run as fast as their competitors. However, still this is good news for end-customer as the competition heighten, operators will be racing to give better service. Better competition will also drive overall e-wallet penetration even more. Previous Post Apa yang dicari para investor dalam pendiri startup?